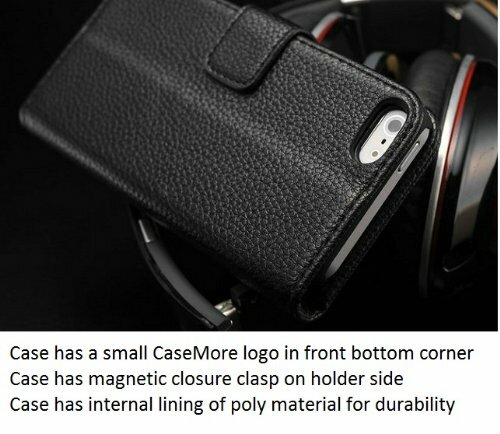 This case is specifically designed for iPhone 5. Style and protection offered by this case is unmatched. 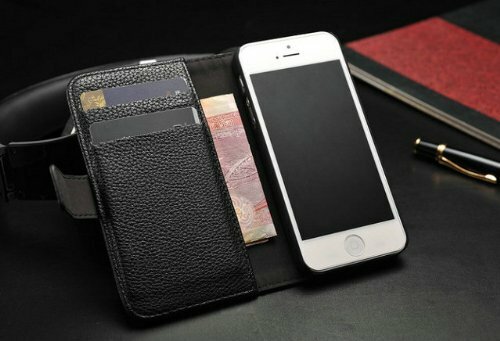 This Genuine/Real leather case has a built in horizontal stand for a convenient viewing angel. All access to all ports including charger are available. 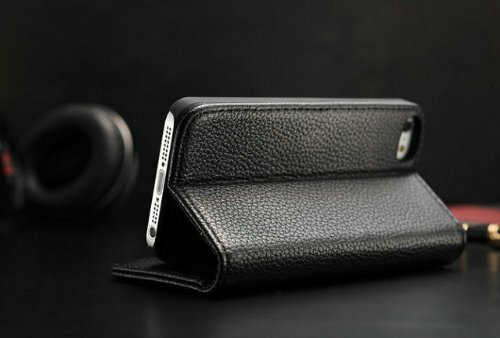 Slid your iPhone in this case and stop worrying about getting the phone scratched or scuffed. The case has excellent workman ship. Stitching is elegant and even all around the case with very good finish. Inside of the sleeve case is very soft that will provide additional protection to your phone. The case is very form fitting and provides secure feel when in the case. Front of the case folds back all the way very conveniently, this lets you talk and take pictures very comfortably. Wallet side of the case has 3 horizontal card/id slots and one vertical pocket for cash or other documents.